Friedrich August Kekulé was a renowned German organic chemist who was the principal founder of the theory of chemical structure in organic chemistry. 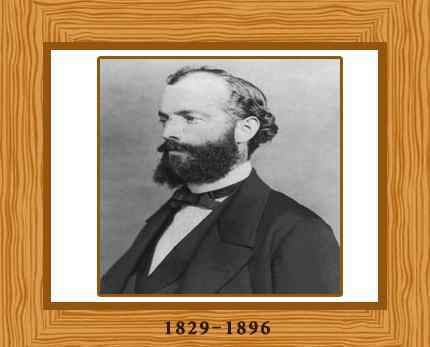 Friedrich August Kekulé was a German scientist who was born on September 7, 1829 in Darmstadt, Germany. The son of a civil servant, he initially attended the local gymnasium performing well in languages and demonstrating a talent for drawing. He was consequently encouraged to become an architect by his parents. He enrolled as a student at the University of Giessen in 1847 where he studied architecture as per his father’s wishes but he switched to studying chemistry instead in 1849. Kekulé’s family agreed to support him with his chemistry ambitions and Kekulé continued his studies in Paris. There he became friends with renowned chemists Charles Gerhardt and Jean Dumas who had a strong influence on him. Having completed his studies in Paris, his Giessen doctoral degree was awarded in the summer of 1852. Kekulé then worked in Switzerland briefly for eighteen months before accepting a position as a laboratory assistant in 1854 at St. Bartholomew’s Hospital London. Working as a privatdozent (an unsalaried teaching position) teaching organic chemistry at Heidelberg from 1855 to 1858, Kekulé was then appointed to the chair of chemistry at Ghent University in Belgium at the age of 29. Kekulé married Stéphanie Drory on 24 June 1862. They had a son, Stephan but his wife tragically died two days after his birth in May 1863. In 1867, he accepted the position of chemistry chair at the University of Bonn, taking charge of a new laboratory. He remained in this position until his death in 1896. Kekulé was the principal founder of the theory of chemical structure, which he announced in two articles published in 1857 and 1858. He proposed that carbon was tetravalent (valence of four) and that one of the four bonds of the carbon atom could be used to join with another carbon atom. In this way organic compounds were constructed as carbon chains. Attached to this ‘carbon skeleton’ other atoms with other valences (such as hydrogen, oxygen, nitrogen, and chlorine) could affix themselves, thus forming inorganic molecules. The first volume of his four volume book detailing his discoveries “Lehrbuch der organischen Chemie” (Textbook of Organic Chemistry) was published in 1859. Scottish chemist Archibald Couper independently published a similar theory at almost the same time. 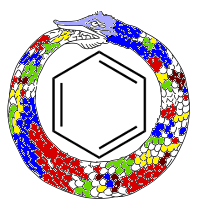 Aromatic compounds, based on the structure of the benzene molecule, however did not fit this pattern. Benzene was discovered by Michael Faraday in 1825 and it was known to be an organic compound with six carbons and six hydrogens C6H6 but it remained a mystery as to how this organic molecule was structured. A chain structure would not satisfy the valence rules Kekulé had proposed. The solution, Kekulé said, came to him in a dream in 1865. Kekulé had realized that benzene had a ring structure and, in this way, the valence rules would be observed. Understanding these aromatic rings opened up an extremely important, completely new field of chemistry – aromatic chemistry – and a new understanding of chemical bonding. He also contributed to industrial production of phenols, and lectured extensively on organic chemistry. Indeed, from the first five Nobel Prizes in Chemistry, his students won three. A second marriage later in life to his housekeeper was not successful. In 1895 Kekulé was ennobled, allowing him to add “von Stradonitz” to his name. Kekulé died on July 13, 1896 aged 66 shortly after an attack of influenza.